During the 2003 WSOP, poker pros Freddy Deeb and Marcel Luske had been really working me, bluffing me out of hands a combined 17 times in a single event! Yes, they outplayed me many times that day, but their wins were relatively unimportant battles — really just a bunch of small pots. My plan was to win the war. That same year, at the Bellagio’s World Poker Tour Doyle Brunson Classic, I faced off against Freddy Deeb once again. This time, though, I wasn’t in the mood to let him run his bluffs against me. Freddy started things off in a similar fashion, tossing in huge raises with the blinds at $100/$200, but once I started calling his game I had him dominated. Obviously, when a person bluffs continuously and successfully, they’re getting away with something and need to be put in their place. It was time for me to step in. Late in the tournament, with the blinds at $300/$600 plus a $75 ante, Deeb opened for $1,800 and I called on the button with 10s-9s. The flop came up Js-7s-2c and Deeb bet $4,000. I had two options: call the bet or move all-in for $35,000. Most pros like to raise in this situation but my tendency is to call. I’m just not comfortable risking my tournament life on a draw, even if it’s a straight flush draw. 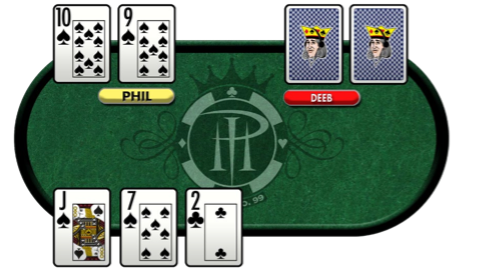 But my instincts were screaming that Deeb was bluffing! I was determined not to let that happen again. And I sensed that Freddy was holding a weak hand, so I thought I could probably win the pot by moving all-in on a semi-bluff. I pulled the trigger and made the big re-raise. And you know what? Deeb folded! He showed 6d-4d. I was relieved with that because I didn’t want to go fishing for that 8 in the deck. Also, it was nice to toss a successful bluff back at Freddy. A lot of poker is table dynamics, who pushes who around — even in the small pots — and you need to make yourself known, respected, and unpredictable. In the case of this bluff, it isn’t my usual style of play, but when I sensed that Freddy was pulling a bluff, I made the correct decision and won the pot when the board ultimately showed low cards. My primary game is to put my chips into the pot only when I’m super-strong. I tend to fold a lot of hands while waiting around for those strong hands to come. By folding often, I give other players the impression that I’m a weak player — a player who can be easily bluffed. Trust me; I’m not a weak player. 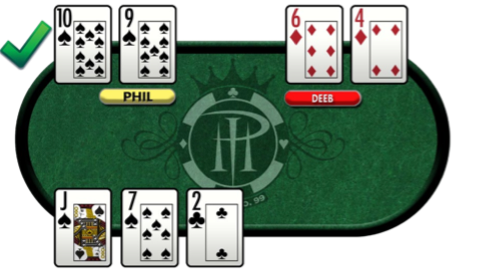 It’s a simple strategy, really: Wait for strong hands to come without losing too many chips, then double up when the goods are finally dealt. Very few players want to go home wondering if they’ve folded the best hand. They feel humiliated when they’re bluffed out of a pot. 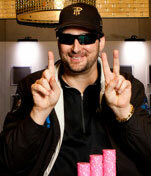 As a result, these players make calls with marginal hands that put their entire tournament at risk. That’s just not my game, at least not my preferred game. But sometimes you’ve got to change it up. Here’s what’s interesting with that day, though: I continued to play this reckless style, and it eventually caught up with me on the second day; playing marginal hands like 10-9 and K-J usually will. Sure, you can win some battles with those hands but too often you’d end up losing the war.